He won $75,400 on Jeopardy, plus the Tournament of Champions. And with nine wins, he is the undefeated Jeopardy player with the best record. He has all $5000 of Ben Stein's money. He's been in the Millionaire “ring of fire” twice. He was second on HistoryIQ. And he won a million bucks in the Goldpocket trivia contest. Even Ken Jennings is in awe of him. No wonder the New York Times called Leszek Pawlowicz "the Michael Jordan of game shows." Not that Pawlowicz is happy with the description. "While I'm flattered, the quote came from someone with a limited knowledge of the game show world. Most days, I usually feel more like the Homer Simpson of game shows." That even includes Ken Jennings, who has been ripping holes through the record books. "When they first changed the five-day-limit rule, I thought the biggest problem Jeopardy might have was they'd get somebody unlikeable starting to win, and that might hurt their ratings. But Ken Jennings is as good a poster boy as the show could have hoped for. He's smart, fast, pleasant and personable. He may or may not be the greatest, but you'd have to put him on any list of possible candidates." Even so, he thinks a lot of Jeopardy's legendary players could have assembled impressive streaks as well. "Some names that immediately come to mind include Chuck Forrest, Frank Spangenberg, Bob Blake, Jerome Vered, Dan Melia and Brian Weikle." Pawlowicz's own run was in 1991. He won five games, four of them being decided before Final Jeopardy. He then squeaked out a win in the Tournament of Champions. But he wasn't done. In 1999, he appeared on Win Ben Stein's Money, and then-host Jimmy Kimmel razzed him about his hair and his difficult-to-pronounce name. (It's "Leh-sheck Pah-vloe-vitch," by the way). But Pawlowicz turned the tables when it was Stein's turn to play; Stein was shut out entirely when he went up against Pawlowicz. That meant Pawlowicz went one on one with Stein for his cash. "I got in the booth and missed the first two and I started worrying. I got the next one, but missed the fourth question. I thought I was finished! But then I got the fifth one and all the ones after that." Now it was Stein's turn to be razzed by Kimmel. "You know all those jokes about Polish people? ", Kimmel asked Stein. "I think that Polish people tend to be very smart," Stein replied. "Well, this one in particular tends to be very smart; he's got seven." "Oh .... shucks!" Stein also missed the first two, and Pawlowicz realized he was back in contention. "Then he missed the third question, and it was at least a tie. When he missed the fifth question, I knew I had won." The final score, 7-4. Pawlowicz believes that buzzer speed was a crucial ingredient to his success on both shows. But buzzers would be his downfall on HistoryIQ, a tournament that ran on the History Channel in 2001. "They had the buzzer from hell there. Most shows, you answer after the host finishes reading the question and when a light goes off. Otherwise, you're locked out for a fraction of a second. It was the same system on HistoryIQ, except that there was no light." Even so, he managed to finish second. And despite being down seven questions in the very last round, he pulled off a six-question last-minute rally that very nearly won him the tournament. Pawlowicz's speed also didn't help him with Millionaire, though. He has been on the Regis version of the show twice, but never got past the fastest-finger round. "I had four opportunities each time. Twice, I just didn't know the right order, and the other two times, I couldn't do it in time. I tell people that it's like having people qualify for a marathon by having them run a hurdles race." Worse, on both shows, he knew all the answers to the actual questions, including one worth $500,000. That might have given him a shot at a million dollars. Maybe. "While I've known most of the million-dollar answers on the prime time version of the show, I hasn't known all of them, and there have been quite a few questions at lower-dollar values that might well have stopped me dead in my tracks." Even so, he did eventually win his million bucks. To promote its software in 2000, Goldpocket.com held weekly trivia contests in which winners could get $1 million. The man he beat in the last round for a chance at the million, Maryland's Peter Bonner, later got in touch with him for advice on future Goldpocket competitions. Pawlowicz went on to be Bonner's on-air Phone-A-Friend on Who Wants To Be A Millionaire, and he has since been on air as a phone-a-friend three more times on the syndicated show. "I'm four for four so far," he says, adding that he's waited in the wings several other times. "And since they limit you to two on-air PAF appearances per season on the syndicated show, and one appearance per prime-time series, there's a very limited number of opportunities." Of all the shows he has been on, though, his favourite was Jeopardy. "It's a high speed show with lots of questions coming at you in a lot of subjects. Also, I had a huge lead most of the time, so I could relax and not worry about losing, so I enjoyed the experiences more." That ability to relax is the key to game show success. "You have to be able to tune out everything except the game: the cameras, Alex, the contestants, the audience. You can't get rattled. I didn't even look at the score except at the breaks. Once I started playing, everything just dropped away." One thing he doesn't recommend is an excessive amount of studying. In preparing for the Tournament of Champions, he watched the show regularly and wrote down the answers and questions that he didn't know, so that he could learn them. After many hours of doing this and studying the material he didn't know, there were only two questions in the TOC that he knew the answer to as a result of this studying. “In most cases, you’ll either know it or you won’t, and you’re unlikely to learn anything by studying that will appear on the show” he says. “After my Jeopardy appearance, I decided that studying for Jeopardy is a waste of time, except for the things that come up a lot—state capitals and world capitals, US presidents, opera, weights and measures, all the categories that regular viewers would recognize as Jeopardy staples." Although he enjoyed his Jeopardy run, in 2002 he was publicly critical of the way that Jeopardy handled the million-dollar tournament designed to celebrate their 4000th show. The 15 contestants were something of a surprise. Of the 15 top-money winners at the time (and Pawlowicz was #13), only two were chosen, the legendary Frank Spangenberg (a New York transit cop who for years held the money-won record) and Babu Srinivasan. Only five of the 18 Tournament of Champions winners to that point were chosen, including two women. In fact, it seemed to many that, far from being the 15 best players, the 15 were chosen for demographic reasons. "Dan Melia, who was #11, wasn't invited, even though in the 1998 TOC he'd beaten two of the people they did invite: Claudia Perry and Bob Harris." 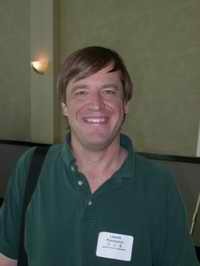 Bruce Seymour, a fourth-season player who won $54,989, but not that year's Tournament of Champions, had won the 1990 Super Jeopardy tournament on ABC against some of the same contestants invited to the Masters. He wasn't invited either. For Pawlowicz, it wasn't the lack of an invitation per se that was the issue. "The show has every right to choose which contestants they want to be on, based on whatever criteria they want. They could use personality, demographic factors, hair color, anything. I might not like their criteria, and I probably would still have been unhappy about not being selected, but that's life." However, he did somewhat object to their calling it a "Masters" tournament, as this implied that the very best players were being invited. "But what really blew my fuses was that they were initially selling the tournament to potential sponsors by claiming that it would include 'the top players from the past 17 years,' and there's just no way you can defend that statement as being accurate. They eventually wound up promoting them as 15 of the most memorable players; better, but that's still debatable in my opinion." For another perspective on the Masters, see what Bob Harris has to say. Pawlowicz concedes he would have loved to have been part of that show, but for now, he is trying to get on the syndicated (or "super") versions of Millionaire. No luck, yet. “I’ve heard that the syndicated version doesn’t like to have people on who’ve been on other game shows, especially multiple winners. That really only leaves Super Millionaire as a possibility, and the way the qualification process is set up this time around, my odds of getting on that show are pretty low." Then again, if Marge could get on Jeopardy, perhaps the Homer Simpson of Game Shows has more of a shot than he realizes.